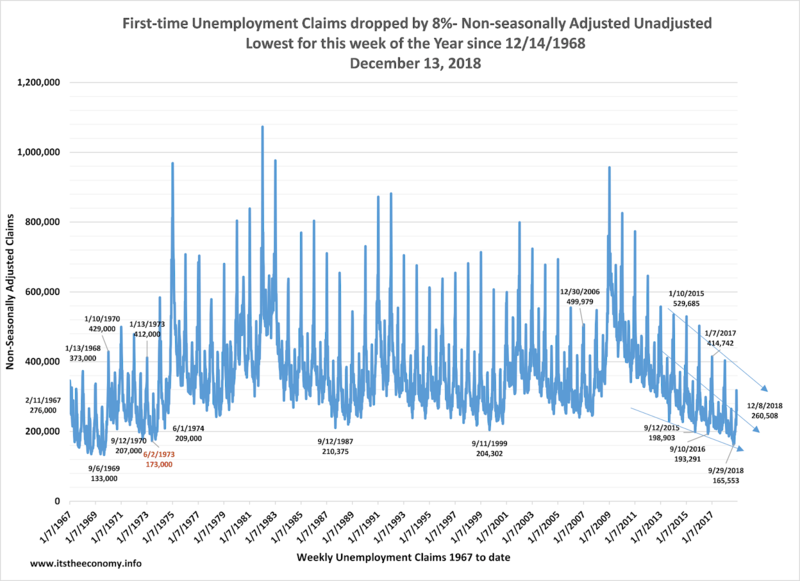 This year we set a record for the number of weeks with the first time unemployment (FTU) claims, non-seasonally adjusted (NSA,) under 200,000 claims. 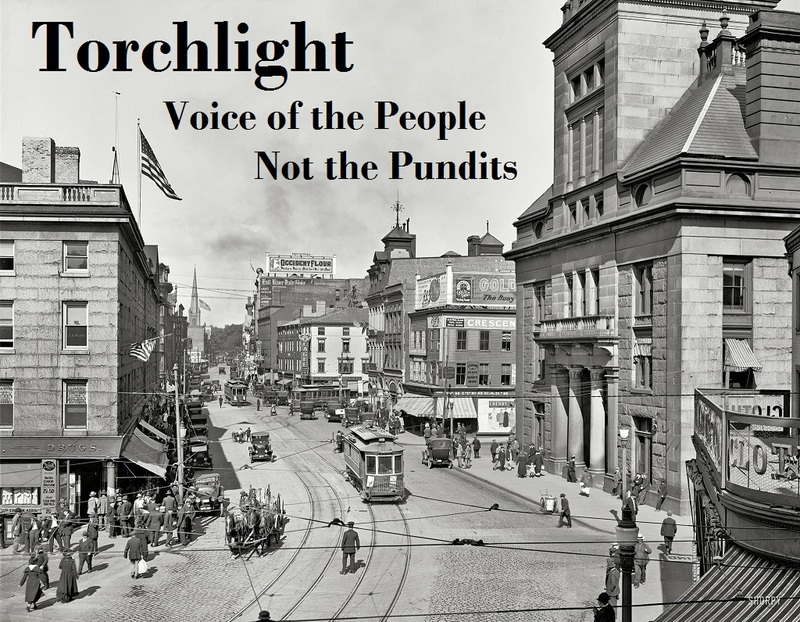 We recorded 21 weeks this year where the NSA FTU was under 200,000 claims. The NSA CC dropped to its lowest level since 1973 the week of October 6th the same week when we set the IUR record low rate, when it was originally reported at 1.349 million claims on October 13th. The trend has been for lower lowers and lower highs for both the NSA FTU value and the NSA CC value. The NSA CC value has been at least 200,0000 lower than the same week data for the prior year for many weeks. If we remain 200,000 claims fewer than last year when we hit the first week of January this year, then we could challenge the NSA CC value for January 6, 1973 when it was 2.121 million claims. There were only 54.333 million covered insured that week of the year. This year we have 142.513 million covered insured. That is the background for this week’s report. It was projected that the SA First-time claims data should come in between 196,000 and 207,000 claims. It was also projected that the SA continuing Claims data should come in between 1.571 million and 1.621 million claims this week. What was recorded, NSA, and what was reported, seasonally adjusted (SA) this week? First time Claims data was recorded at 260,508, down 57,000 claims from last week. The drop amounts to a decline of 18.06%. It was thought hat we could drop between 10% and 18%. This is a very good number. First-time Claims were reported at 206,000 Claims. If the seasonal factors from last week were used then the value would have coming in under 200,000. 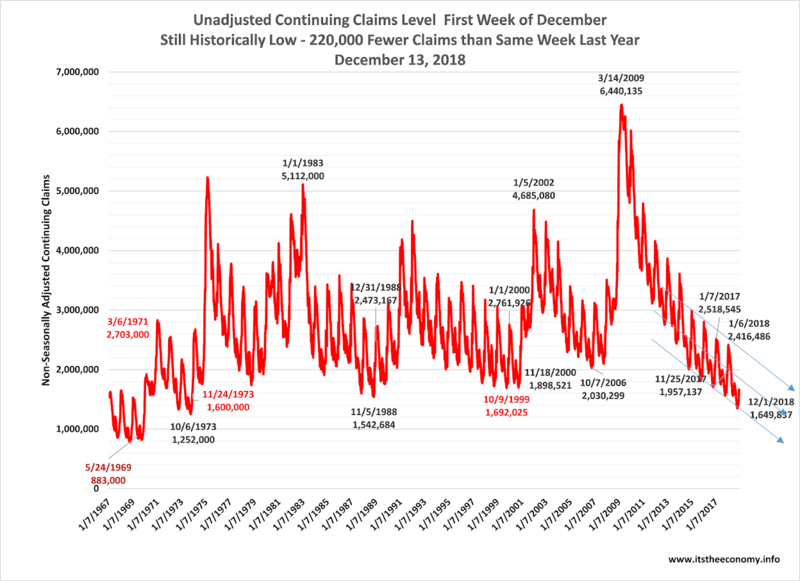 This is interesting because if we look at the data from 1968 there were 230,000 claims for the second week of December. If we look at the data for 12/7/1968, the first week of December, and 12/8/12018, there is a noticeable difference in the values reported. The data from 12/7/1968 was 223,000 and reported at 188,000 claims. Also take note that the seasonally adjusted (SA) FTU data was reported at 204,000 during the second week of December 1967. We have 90 million more covered insured now than we had during the early 1970s and only 19,000 more first-time claims than we had during the same week of 1967. The Continuing Claims data was recorded at 1.649 million claims. This was only a slight drop of 0.94%. This was not as large a drop as was anticipated, which was thought to be between 3% and 6%. The drop may not have been as much as expected because the spike in first-time claims for the same week was larger than anticipated. The FTU claims recorded a spike from 218,658 to 315,852 claims last week, the week for which this CC data is associated. This was a spike of 44.45%. It was expected that we could see as spike of 30% to 48% last week. It could have gone the other way. We could have seen a spike of 6,000 NSA CC this week. The thing is that there is a push for hiring at the end of the year. The Continuing Claims data was reported at 1.661 million claims. This goes to show that those who manage the data anticipated a large drop in the continuing claims when the seasonal factors were published months ago. We are lower this week of the year than we were from the lat 19680 through almost any week this year. We are 220,000 claims lower than we were the same week of last year. Could we see a NSA CC value under 2.2 million claims the first week of January? The Seasonally Adjusted Continuing Claims data was reported at 1.661 million claims. A value of 2.0 million was considered to be strong. We were at 2.0 million during 2016, 1.9 million during 2017, and now we are under 1.7 million claims? This means that we have an insured unemployment rate of 1.16%. This means that only 1.16% of the “covered insured workforce” is receiving Continuing Claims benefits. The non-seasonally adjusted U-3 unemployment rate during November was 3.47%. The mainstream media is attempting to say that the high level of Job Openings, being higher than the seasonally adjusted U-3 unemployment level is important. What does it say that there are 7.32 million non-farm payroll job openings and only 1.65 million people collecting benefits? It says that we have a participation problem. We know that we are missing at least 8 million potential workers. We have a record level of November full-time jobs. We had record weekly wages for the month of November this month. More workers being paid more money every week should translate into huge Retail Sales during November and December this year. We will find out tomorrow. The take away here is that this slide in unemployment is continuing into next year. The first-time claims data and the continuing claims data will be the canary in the coal mine when the economy starts to weaken. This column has produced an article on the GDP in which it was stated that we would “need” six quarters of declining GDP growth and two quarters of GDP contraction before we would be recognized as being in a recession. This means that we should not see a recession during 2019. It also means that the recession, if it starts, will not start until the end of 2020. The data tables and graphics can be found here.